Our amazing deal from Deep Grey Photography is still running! $100 to put towards Deep Grey’s beautiful portrait products. 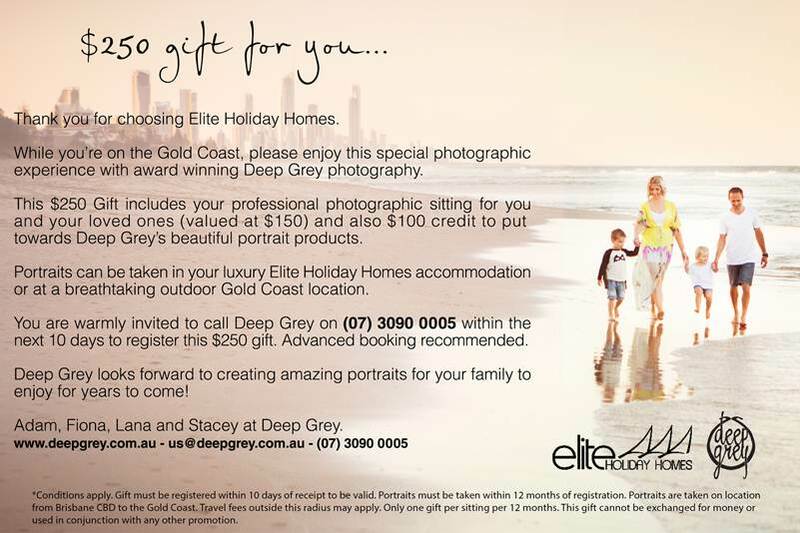 To receive this package, all you have to do is book in to stay at an Elite Holiday home, then call Deep Grey on (07) 3090 0005 to make your booking.